Another great day at the stone festival. It felt like I had to work hard to hit my target though.It currently looks like i have spent 2 days making a very large egg! Hopefully tomorrow should see it transformed with the addition of the lettering. I am really excited to see how this one’s going to work. There continues to be a great vibe at the festival. 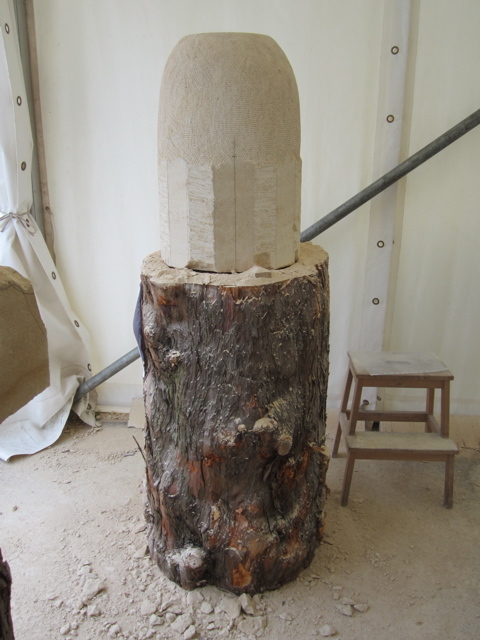 Even more carvers today as the 3 day comp carvers arrived and made a start. 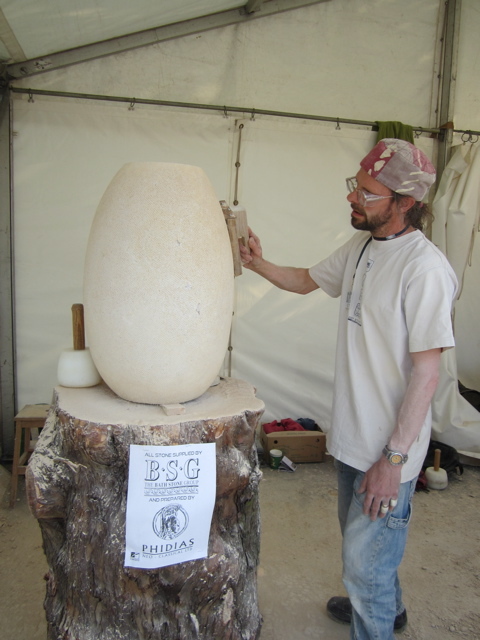 There is so much energy here in the work, and sounds of carving mingled with music. We have become a whole village of carvers. At the start of play today. At the close of play today. starting to look good Iain!! Cheers Aad – your quick off the mark tonight – I only just hit publish.